Drawing from the recent book, Reagan: The Life by best-selling biographer H.W. 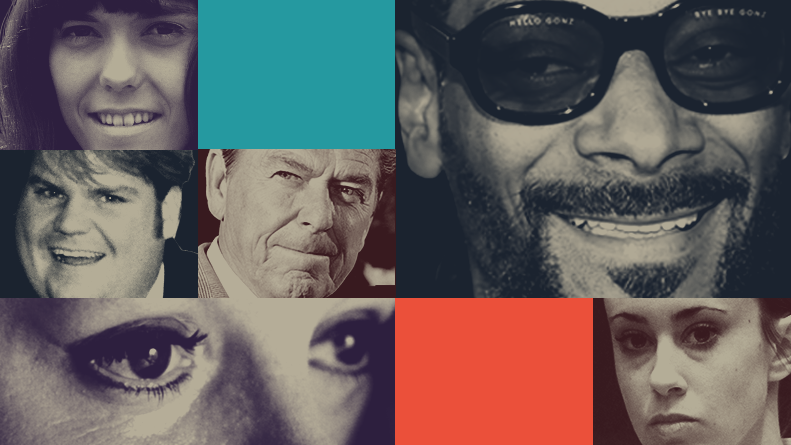 Brands, this Ronald Reagan biography dives deep into the pivotal events that shaped his life. Dramatic recreations reveal the untold, behind-the-scenes moments that shaped the trajectory of his career. Interviews and rare archival material illustrate his life through the Great Depression, WWII, Hollywood’s Golden Age, The Cold War, an assassination attempt (not unlike Bill O’Reilly’s book and recent Nat Geo movie, Killing Reagan), and public and personal heartache. A lineup full of “Real Lives. Real Stories. Real Celebrities” is coming your way starting Sept. 10 on REELZ. New series include Rich and Acquitted, Hollywood Homicide Uncovered and Scandal Made Me Famous. New documentary specials include Titanic: Sinking the Myths, Karen Carpenter: Goodbye to Love and Reagan: From Movie Star to President. Rounding out new fall programming are returning series Autopsy: The Last Hours of… and Gangsters: America’s Most Evil.